The Royal Haveli is an unpretentious haveli which has all the modern comforts to suit both business and leisure travellers. 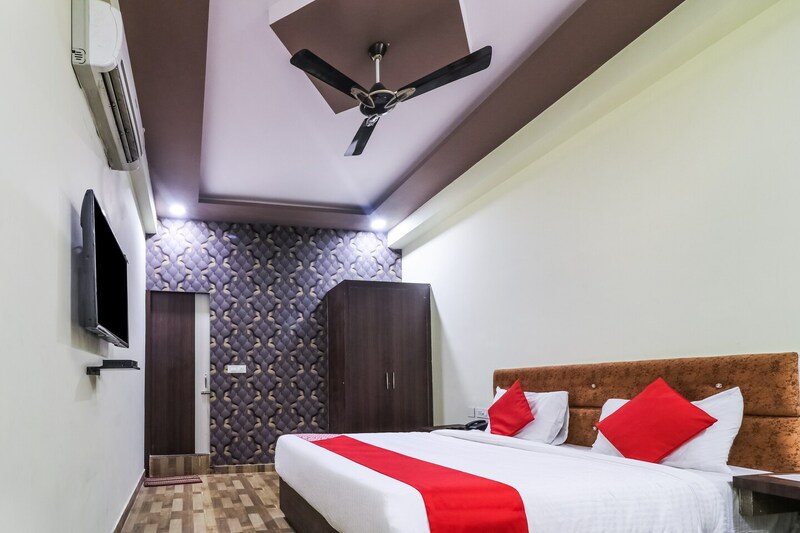 Spanking clean and tastefully done rooms with modern wooden furnishing make for a relaxing stay. The decor of the room is bright along with beautifully textured walls. Other amenities are seating area, parking facility, power back-up and CCTV cameras for your safety. When in Jaipur, do not miss out on flavourful Rajasthani cuisine and street food. There are a lot of restaurants minutes away from the hotel that serve local fare. Give a quick visit to the famous Dahar Ka Balaji temple if you have some time in hand.